If you're shopping online for a mens gray wool overcoat, this one right here should really do the trick. The classic style with the 3 button front and knee length cut is the perfect style to wear with a majority of your suits or even without a suit for just a classy look. 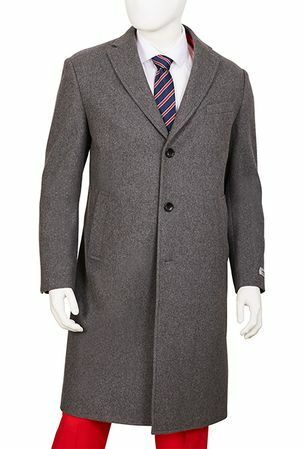 This gray wool overcoat has a center vent in back for ease of movement. Made of wool/poly blend fabric. 70/30%.